Always Learning: Why Are So Many Christian Women Repulsed By Submission? 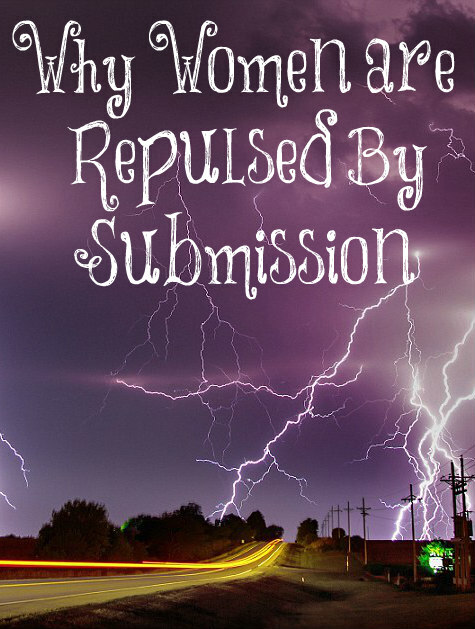 Why Are So Many Christian Women Repulsed By Submission? Through this post, I am going to attempt to show you the importance God puts in a wife's position to her husband and why I think this is extremely important to Him. There are two commands (Ephesians 6:1 and Colossians 3:20) for children to obey their parents, thus children are under their parent's authority. There are two verses (Romans 13:1 and 1 Peter 2:13) concerning citizens submitting to their government, therefore, citizens are under the government's authority. There are three verses (Ephesians 6:5, Colossians 3:22 and 1 Peter 2:18) concerning slaves' obedience to their masters. So there are two concerning children, two concerning citizens, and three concerning slaves' relationship to those in authority over them. How many verses concern a wife's relationship to her husband? Twelve! I believe God knew that there would need to be many more instructions on this relationship since most would try to ignore it, dismiss it, water it down or simply be repulsed by the idea and refuse to obey. Genesis 2:18 "And the Lord God said, It is not good that the man should be alone; I will make him a help meet for him." She was created to be the man's help meet, not the other way around. Genesis 3:16 "Thy desire shall be to thy husband, and he shall rule over thee." Part of the curse would be the woman's desire to rule over her husband but that the husband will rule over her. I Corinthians 11:3 "...the head of every man is Christ; and the head of the woman is the man; and the head of Christ is God." The husband is the wife's head; he is over her. I Corinthians 14:34,35 "Let women keep silence in the churches...they are commanded to be under obedience...if they will learn anything, let them ask their husbands at home..." Husbands are allowed to speak but not wives and must have a teachable spirit toward their husbands and learn from them..
even as Christ is the head of the church.."
1 Timothy 2:11,12 "Let the woman learn in silence with all subjection. But I suffer not a woman to teach, nor to usurp authority over the man, but to be in silence." This isn't concerning marriage so I didn't include it in the the twelve but it does explain the authority men have over women in church, thus supporting the teaching that women are NOT to usurp authority over their husbands. 1 Peter 3:1 "Likewise, ye wives be in subjection to your own husbands...."
adorned themselves being in subjection to their own husbands." Titus 2:5 "Teach young women to...be obedient to their own husbands." as it is fit in the Lord." Are you convinced yet? I asked a couple of my friends this question, "What makes a woman's heart soft to the subject of submission? How come there are some of us who deeply desire to be submissive, yet SO many who do not? I'm talking about Christian women." Amanda, Cabinetman's wife, responded, "Here are my thoughts on it, based upon my own spiritual journey. I did not want to submit until I truly began studying theology and creation. My journey just began with the intent to firmly teach my children creation. Little did I know, as I began to truly understand God's character and process in ordaining creation, there was no way I could truly worship and honor my Creator and God and forsake the authority he ordained. 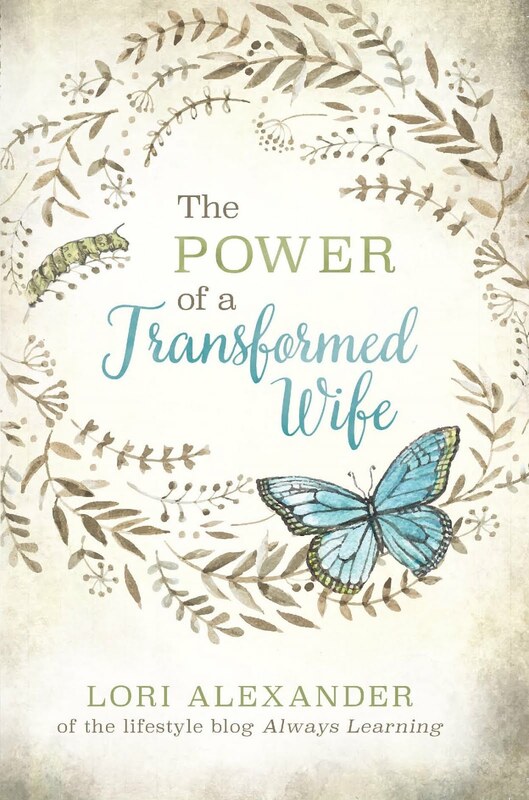 "I further studied God's character, justice, righteousness and holiness and found no other way to serve him but to submit myself to Him and my husband. In honoring my husband, I am honoring God, and I am honoring what He ordained. After truly understanding how wretched of a sinner I am and how gracious God is, I simply can't forsake His commands to be submissive to my husband. I thusly think it's two fold: realizing how horribly sinful we are (as opposed to the current culture view that were generally good) and realize how good and righteous God is." TheJoyFilledWife responded, "Truly, I think it is depends on what her walk with God is like. It's like Martha and Mary...Martha was upset that Jesus didn't tell Mary to go help her in the kitchen. She had something she wanted done and represented with a certain standard (perhaps perfectionism? Maybe she wanted to impress Jesus with her service and work ethic? She seemed to be more focused on works than faith) and Mary didn't comply so she complained to Jesus about it. She didn't bother to see Jesus' pleasure with Mary's behavior because she was too caught up in having things done her way. Mary, on the other hand, adored Jesus. She was willing to give up the most costly possession she had to display her love and dedication for Him. She humbled herself and did so without hesitation, even though she had to sense or know at some point that Martha would not be pleased with her. Mary's heart was to worship. She was indebted to Christ and she loved and served Him with passion. Martha, on the other hand, at least in this instance, seemed to be more concerned with what Jesus could do FOR her than what He was trying to do IN her. "If I'm completely honest, when occasions arise in which I am disrespectful toward my husband, I don't usually get very far before I just break down and weep in private. I feel the guilt of my sinful behavior and how I am not displaying love for Christ or representing Him well and it breaks my heart to pieces. Sometimes I have moments where I feel so distraught over my sin that Jesus speaks lovingly to my heart and reminds me that He has forgiven me and that I have the power to make a change immediately. Do you know that, except for the fact that I feel sad about how I may have made my husband feel and how I want to be a blessing to him, the thing that brings about the desire to submit to my husband is not my husband's behavior, but the reminder of the fact that Jesus' blood was spilled on that cross so that my sins -- and lack of submission -- could be atoned. That is such a big deal to me that my eyes fill with tears even as I type this. "I believe that Christians will come to a place of desiring to obey God's command and change their secular ways once the Cross becomes a bigger deal to them. I see so many Christians justify their worldly behavior as the manifestation of 'freedom in Christ' and all that signifies to me is lack of truly understanding the sacrifice that was made that day on Calvary. Once the sinless blood that was spilled for our wretched sinful souls truly gets to the heart of a person, they will never be the same again." Children Love Strict Parents Who Sets Boundaries! Should We Shelter Our Children? Do All Husbands Need Mistresses? Wives Will Claw You if You Tell Them What to Do! Can Guilt Be Telling You Something? Can You Lose Weight Without Accountability? Her Husband Asks Her to Sin. Now What? Friends For Almost Forty Years! Is Your Husband in Awe of You? My Favorite Sunshine Mary Post!